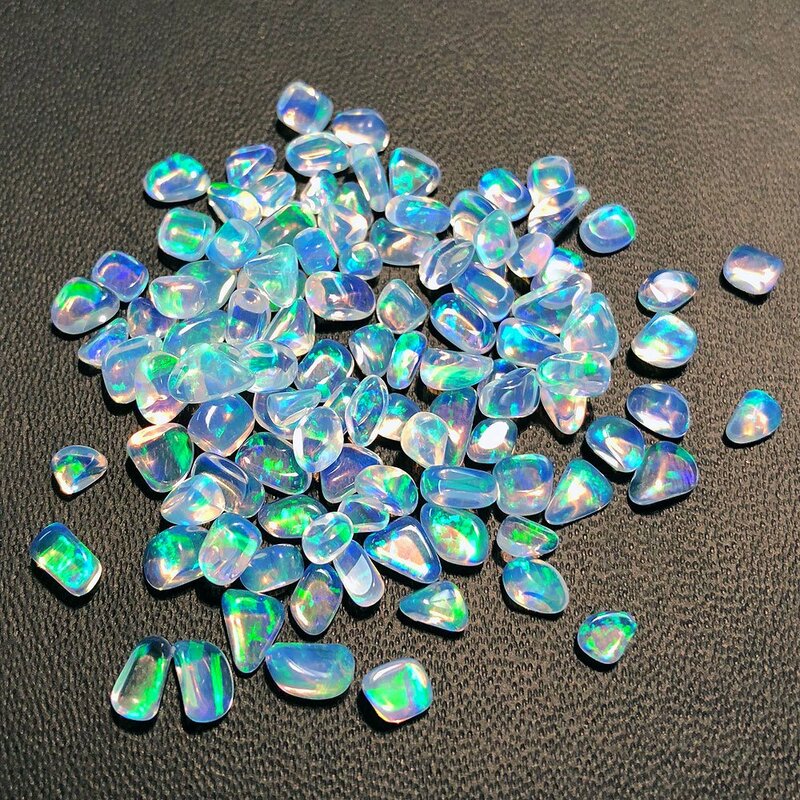 Our crystal mini tumbled opal pieces are perfect for tiny spaces in glass. They also are great for tiny accents to make people double back for a second look. 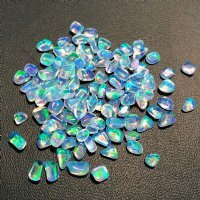 Great green and blue fire in these little pieces and the body colors is completely transparent. 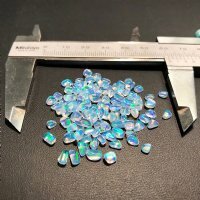 The size of these "mini" opals varies quite a bit from batch to batch. The average size is 2mm - 4mm and about 18-30 pieces per gram. If you have specific requirements please let us know.